If you can dream it, we can build it. With beautiful customs from master builders like Billy Lane, Arlen and Cory Ness, Orange County Choppers, Jesse James of West Coast Choppers, Dave Perewitz, Rikki Battistini, Paul Yaffe, Donnie Smith, Eddie Trotta, and Indian Larry, South Coast Choppers is on the path of joining the ranks with these extremely talented builders. We build bikes to your specifications. 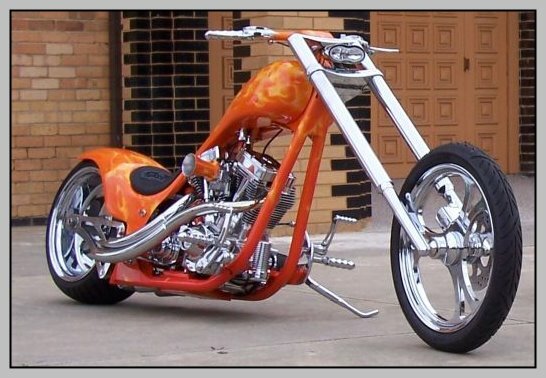 Do you want a long, low Hard-Tail with an inverted front end and a Metzeler 280 tire on the rear? 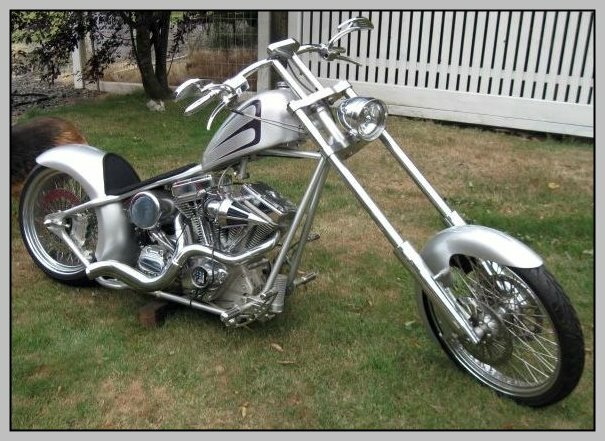 How about a Baker right side drive, drop seat Softail with a 124" TP Engineering motor, BDL Top Fuel Drive and Avon 300 rear tire? Doesn't the comfort of a Y2K Dyna Harley style rubbermount bike with the new S&S 145" Evolution style motor and Avon 250 rear tire sound good to you? We specialise in building bikes ranging from Mild to Wild ! !